The OSCE SMM unmanned aerial vehicle recorded 4 Grad rocket fire systems near Miusynsk town (ORLO) last week, the location of which is a violation of the withdrawal lines established by the Minsk accords. The QHA correspondent reports, that the Principal Deputy Chief Monitor of the OSCE Special Monitoring Mission to Ukraine Alexander Hug presented the corresponding photo at a briefing in UCMC. On the photo taken with the UAV, apart from military trucks, one can see 4 "Grad" MLRs near the Miusynsk (ORLO, south-west of Khrustalny, former Krasny Luch) which is not controlled by the Ukrainian government. Another UAV of the Mission spotted one MRL in the government-controlled Kostiantynivka. In total, the Mission states that last week was distinguished by "instability and unpredictability", the SMM recorded more than 8,000 violations of the ceasefire, as well as 54 cases of heavy weapons placement with violation of Minsk agreement, 46 of which were in the areas not controlled by Ukrainian government. According to Hug, more than 90% of heavy weapons use cases were registered in the Popasnaya-Pervomaisk region last week. Also in this area, on 22-24 of February, observers at the forward patrol base in Popasnaya recorded a general outbreak of combat activity - more than 700 explosions from heavy weapons shots and more than 800 shots from small arms. In his opinion, this is in a certain way connected with the fact that in recent weeks the APU in this area has advanced somewhat and took control of the settlements in the "gray zone", in particular Novooleksandrivka. Thus, the distance to the positions of illegal armed formations has significantly decreased. At the same time, SMM does not say which of the parties started shooting; it is emphasized only that both the first shot and the fire in general are still considered a violation of the Minsk accords. It is also worth noting that the Ukrainian Armed Forces did not violate the Minsk accords, because they did not cross the line of contact, but took control of the settlement in the "gray zone". Moreover, the Armed Forces of Ukraine advanced to the territories which must be under their control under the Minsk agreements of September 19, 2014. 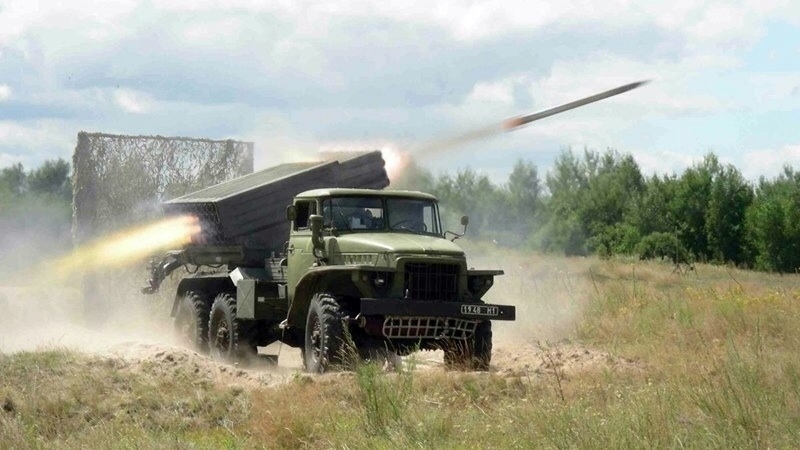 Earlier it was reported that servicemen of the Armed Forces of Ukraine on the Svitlodar arc in the Donbas repulsed the attack of the RF / ORDLO fighters.